I like to dress a little special sometimes. 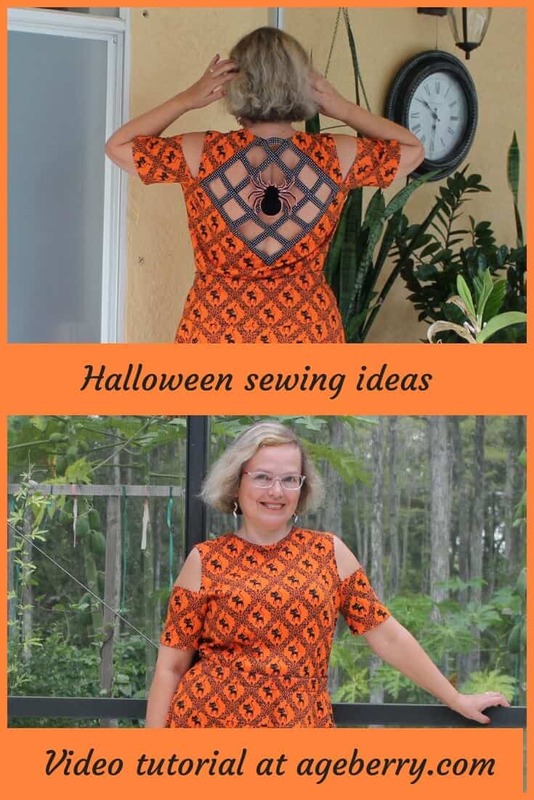 And my imagination never ends when it comes to sewing ideas. So I made this spooktacular outfit for Halloween. You can read how to sew a reversible skirt here. And this is a video tutorial on how to make a matching top. It’s super easy, trust me. I will take you through the entire process from start to finish. Below you can see some images of the top. 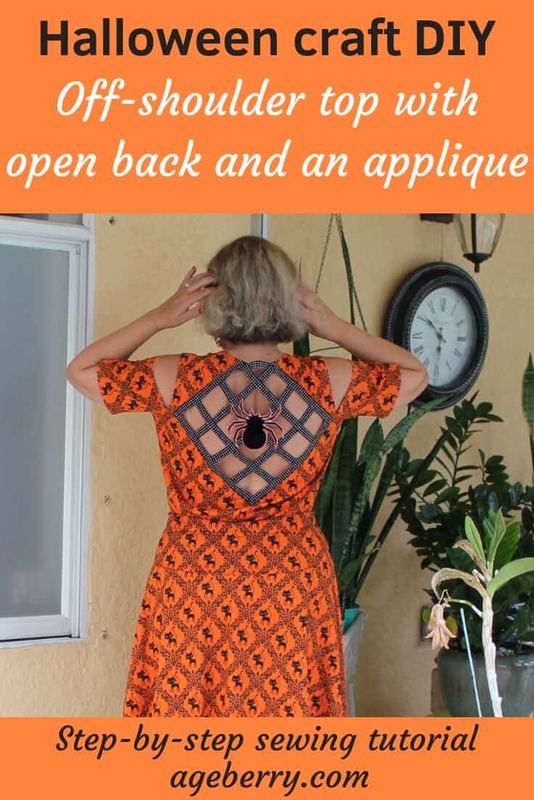 And here is the video tutorial on making the off-shoulder top with open back and a spider applique made from black velvet fabric. I don’t describe how to make the top pattern in this tutorial because I already did it in details in my other tutorial – you can find instructions here. 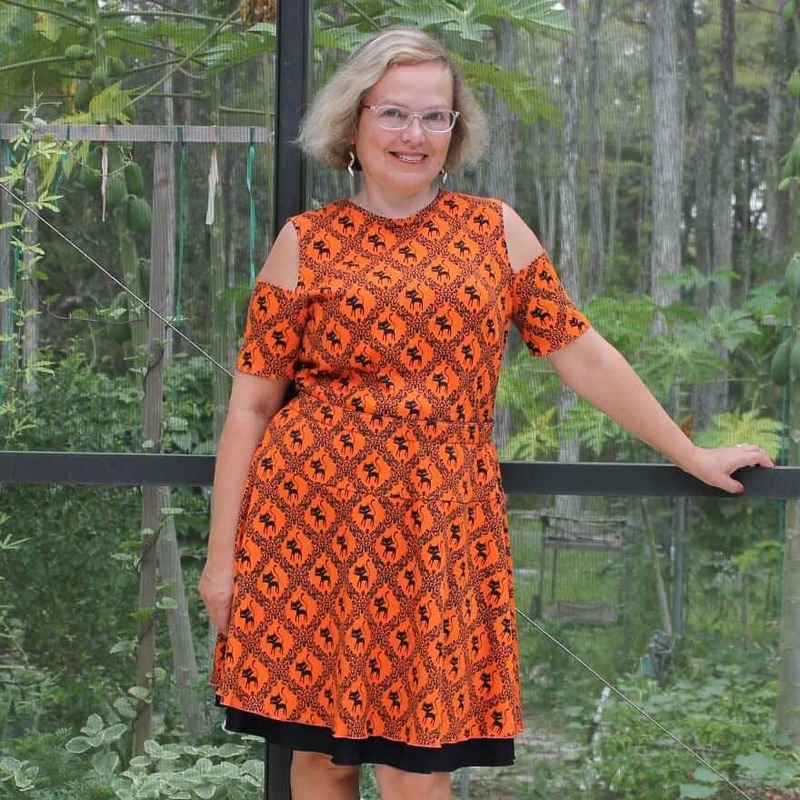 I am only showing how to make an easy pattern for the off-shoulder sleeves. The top is made from knit fabric so I used my serger to sew side and shoulder seams. The seams are strong and stretchable which is really important for knits. Thinking about buying a serger? Here is the list of best sellers from Amazon Amazon best sellers of 2017 in Sergers/Overlock and Coverstitch machines. But sometimes I need to make some stitches on knit fabric with my regular sewing machine. In this tutorial, for example, I used special stitches of my regular sewing machine to finish sleeves and hems. Spice up the top with a free standing applique ( well, I am not sure about the term, I know “free standing lace” ). I am afraid of spiders in real life. But this one is made from velvet and is kind of cute. 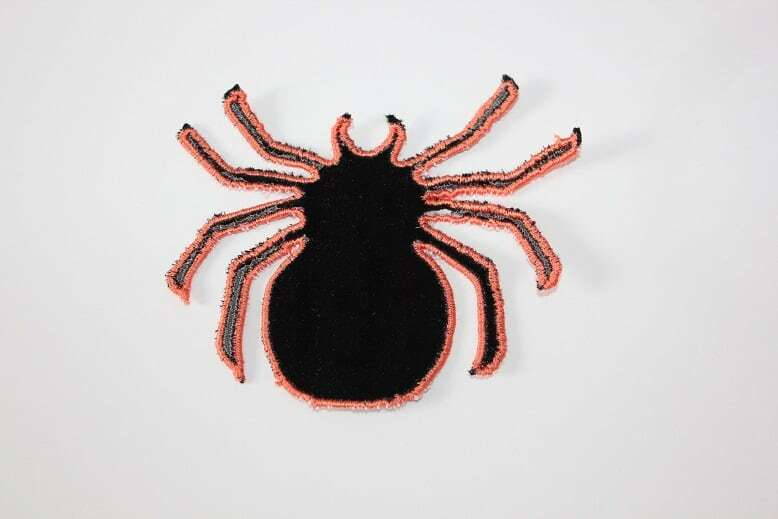 I used my Brother scan&cut cutting machine to make the spider. If you would like to save this tutorial for future reference (when you are ready to sew) you can pin this image on Pinterest.